Comment: Stewart injured his hand/wrist in a first-moto crash at Thunder Valley. 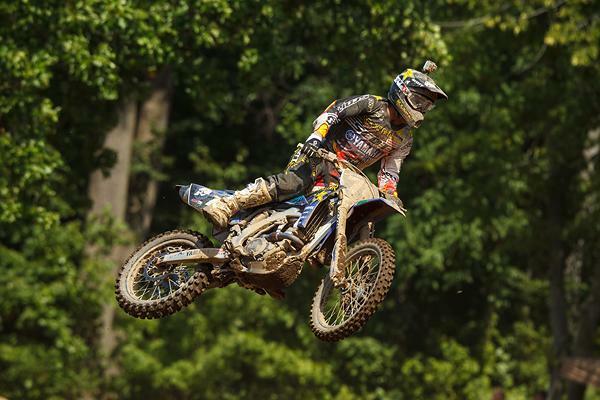 He attempted to race at High Point, but experienced numbness in his wrist several laps into the first moto. Stewart returned at RedBud, finishing third via 6-3 moto scores, but believes that he has not made enough progress with his injury for it to make sense to compete. Stewart plans to return to competition at Southwick. Comment: Multiple sources are reporting that Rockstar Star-Valli Yamaha fill-in rider Glen Helen yesterday. Racer X’s Chase Stallo reached Tommy via text message last night. “I’ve seen better days,” replied an obviously devastated Weeck. Comment: Tommy Hahn suffered a broken finger at Thunder Valley. 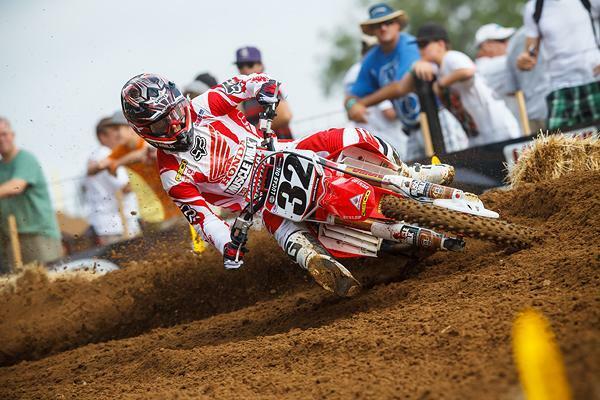 Hahn makes his return to racing this weekend at Millville. Comment: Bogle has been battling an issue with his knee since the Toronto Supercross, and underwent minor surgery to have it taken care of. Bogle will make his return at Millville. Comment: Tedesco had a big crash in the second moto at Budds Creek and will not be racing at Millville. Comment: Millsaps suffered an ankle injury while training for RedBud and will not be racing at Millville. 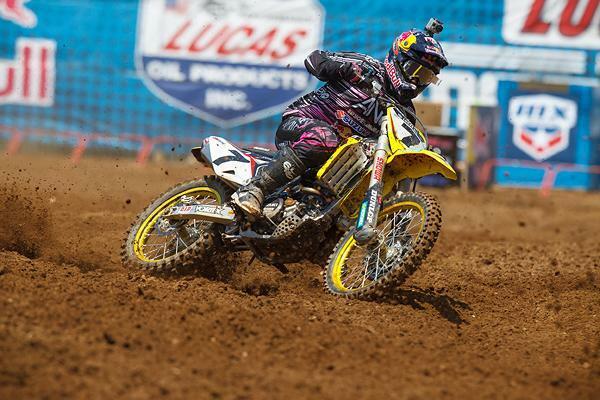 James Stewart will miss Millville and Washougal with a hand injury. Comment: Izzi crashed hard in the first moto at RedBud and sat the second moto out after experiencing pain in his back. Izzi will be racing at Millville. Comment: Sewell will not return to racing until 2013. Comment: Patterson broke her hand while practicing for RedBud, but still lined up to salvage a few points. Patterson underwent surgery on Monday for her injury, and will likely be back in action at the next WMX race at Washougal. Comment: Moss missed RedBud due to severe illness. His presence at Millville is doubtful. Comment: Metcalfe went over the bars when his bike ran out of gas in a rhythm section at Glen Helen Raceway in Southern California. Metcalfe underwent surgery for his injuries and is out for the season. Comment: Cunningham did further damage to an already injured ankle when he hooked a rut with his boot at Budds Creek. Cunningham will not be racing at Millville. Comment: Kaneshiro sustained injury while practicing for RedBud and is out for the season. Reports are that Tommy Weeck broke his tibia and fibula at Glen Helen yesterday. Comment: Tedder crashed at Budds Creek on the last lap of the first 250 moto, breaking a bone in his right foot and tearing the labrum in his left shoulder. Tedder was looking at a three week recovery, but opted to take some additional time off to have surgery to repair a nagging problem with his shoulder. Tedder may be back for the final race at Lake Elsinore. Comment: Pesci hopes to return to racing at some point in August. Comment: Davalos suffered a concussion while practicing for Thunder Valley, and is hoping to make is return at Washougal. Comment: Wilson attempted to race Hangtown with a shoulder injury sustained in supercross, but it didn’t work out. Wilson underwent surgery, and is likely to miss the rest of the outdoor season. 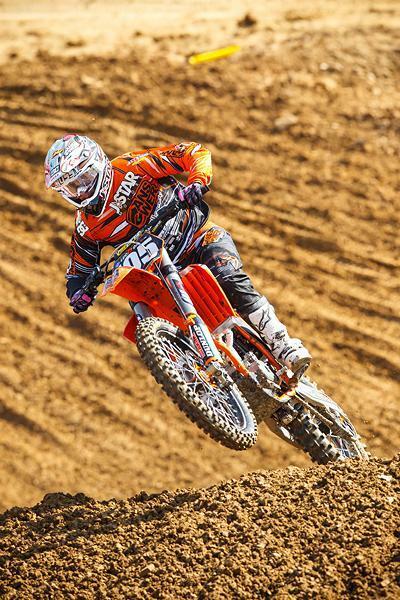 Tommy Hahn will make his return at Millville. Comment: Sipes rebroke his hand in SLC when Jason Anderson ran into the back of him on the start of the parade lap. Sipes now has a plate and screws in his hand, and will be racing all of the outdoor rounds, despite massive swelling in his hand after every race. Comment: Vallee suffered a horrible crash while leading a race at Pala Raceway. After being landed on multiple times, he was airlifted to Palomar Hospital and underwent two surgeries, with rods inserted in both femurs and three plates and 33 screws used to repair the left elbow. After multiple surgeries, a month in the hospital and much hard work and therapy, Bryce is now walking again much to the surprise of his doctors. With the help of Eddie Casillas of Asterisk Medical and Charles Dao of ICON Sports, here is a video of Bryce walking for the first time on May 30th at the ICON facility in Murietta, less than 2 months after the crash. Donations for medical expenses can be made at www.brycevalleemx.com. Matt Moss will miss his second straight race due to illness. Comment: Although Reed’s recovery is nearly complete, his injuries will likely keep him out of competition until 2013. Comment: Morais will not return to racing in 2012.